Razer has unveiled a new extended warranty offering which it has dubbed RazerCare. These extended warranties are US-only and are merely extensions of the one year warranties you will already have, providing "the same coverage as your manufacturer limited warranty," but for longer, on that side of the Atlantic. 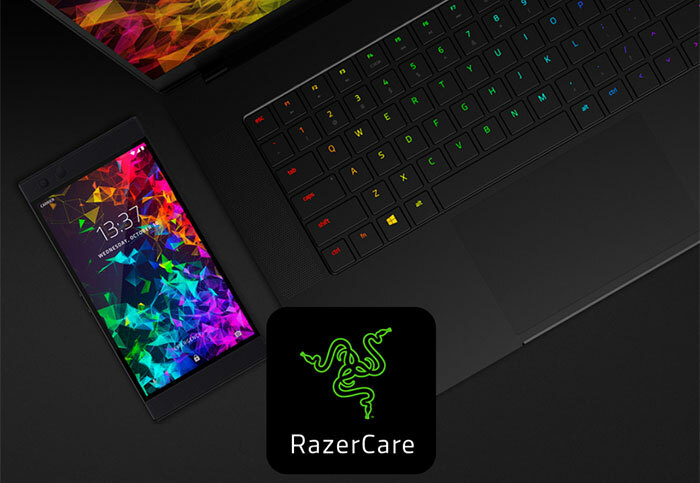 The first extended warranty scheme on offer is dubbed 'RazerCare Essential' and covers you for mechanical and electrical failures under to normal product use situations. For a summary of benefits and what is not covered please check the table below. 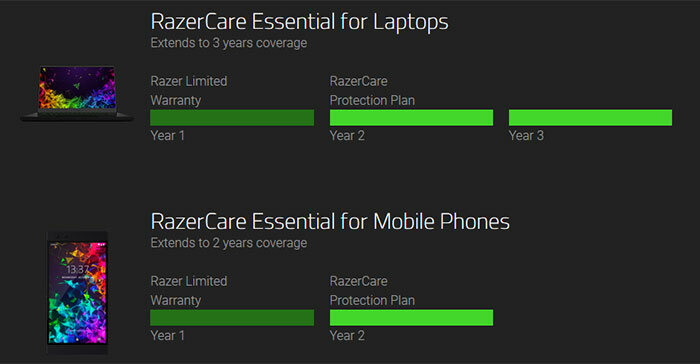 For laptops the 'RazerCare Essential' price premium you will be offered is for three years coverage in total, and for phones your RazerCare payment premium will just add one year to the warranty to give you two years coverage. You can see above that there is an excess or 'deductable' charge on mobile devices if you need to call on the warranty - even though this premium payment doesn't cover accidents, losses or so on. The price of RazerCare Essential varies with the cost of your device. Owners of the Razer Phone 1 and 2 can get this extended warranty service for $100, with the cost rising to $200 for the Blade Stealth, $250 for the standard Blade and $300 for the Blade Pro. It is a rather standard business practice for significant PC makers to offer extended warranties. Some are better than others, offering perks like on-site repairs or swap-outs, accidental damage coverage, and other niceties. Razer's initial extended warranty service is labelled an 'Essential' product, perhaps as it intends to provide greater coverage in the future. Under EU rules, residents of member states have a "free of charge, 2-year guarantee (legal guarantee) for all goods". This is a minimum right, with some countries insisting on longer guarantees. Nevertheless, some companies will try and weasel out of these obligations.